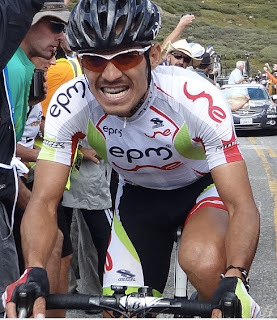 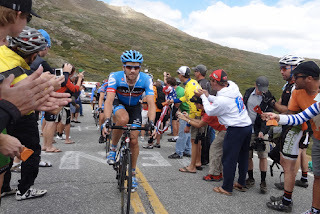 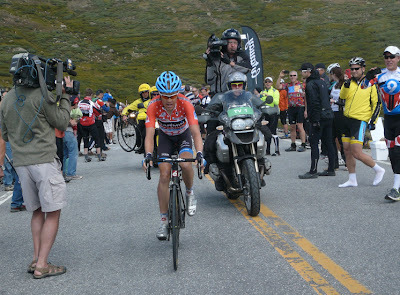 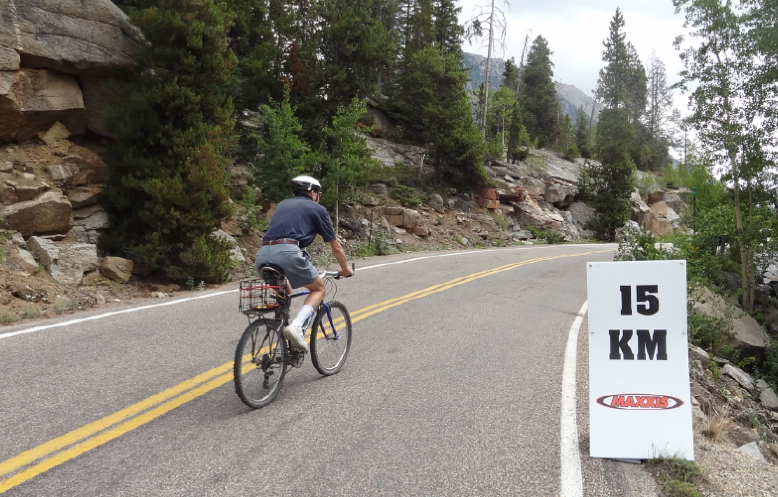 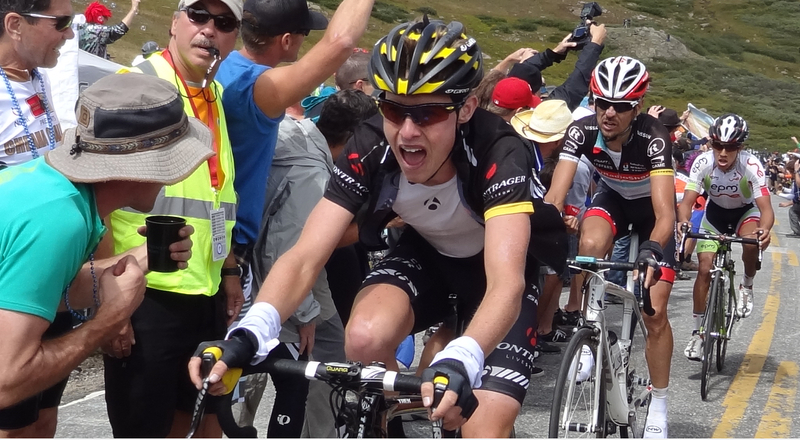 As if Cottonwood Pass at 12,126 feet (3,696 m) wasn't enough, the riders in Stage 3 of the 2012 USA Pro Challenge had to climb over Independence Pass as well. 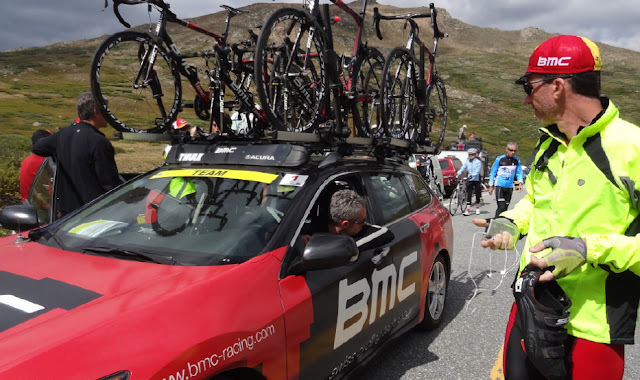 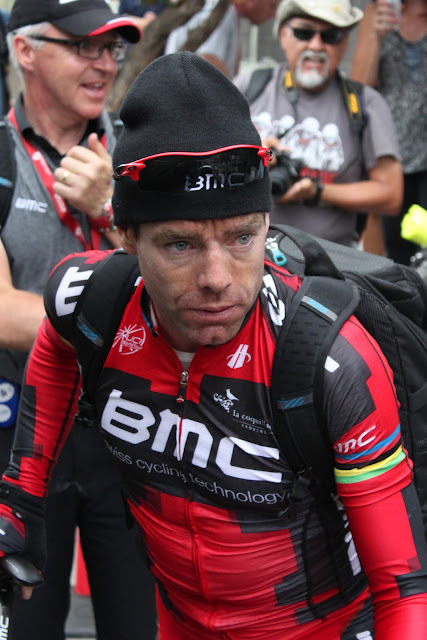 In the words of the BMC team car driver who was stopped on the pass awaiting the last 40 or so riders in the autobus to come over the top - "it's hard." 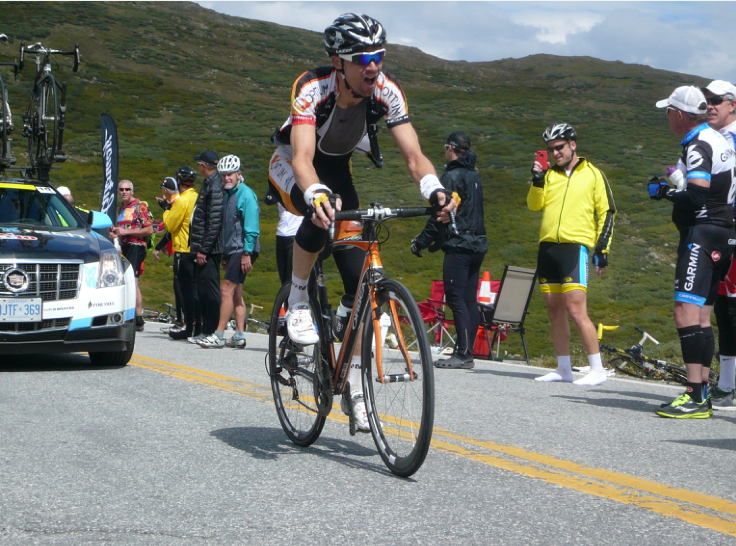 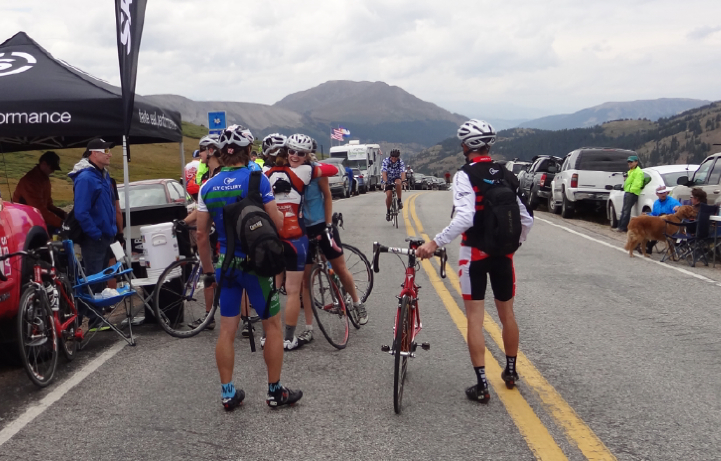 Independence Pass from either side is a significant climb, and this year the riders will do both sides. Yesterday they tackled the east side (17.5 miles). Today they will turn around and ride back over the pass in the opposite direction (20 miles). 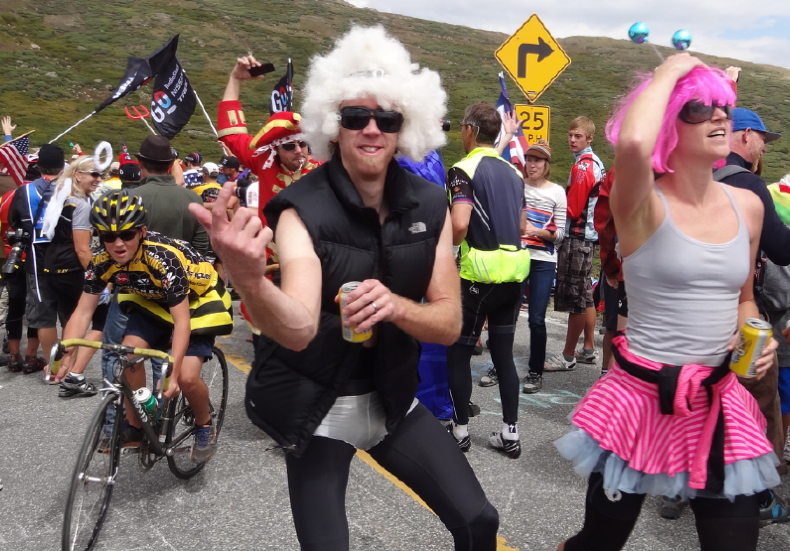 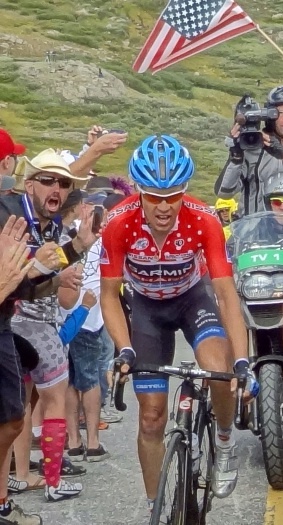 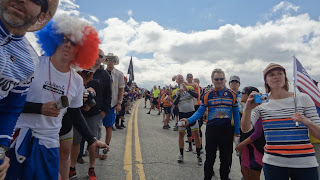 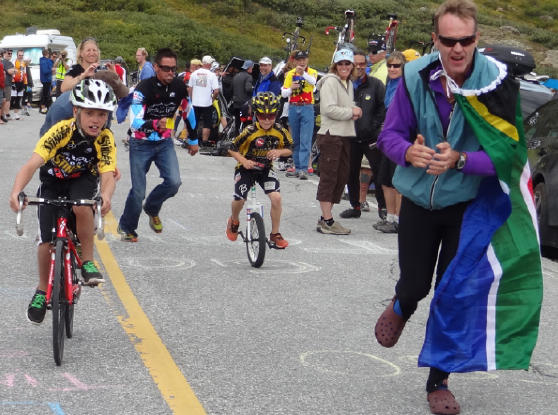 I was one of those many fans who cycled their way to the top of the pass yesterday to dance to the loud music, laugh at wild costumes, and cheer the pros. 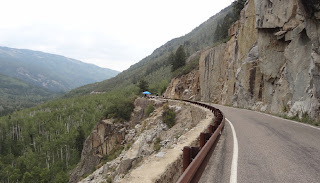 But first I had to get myself up to the top. 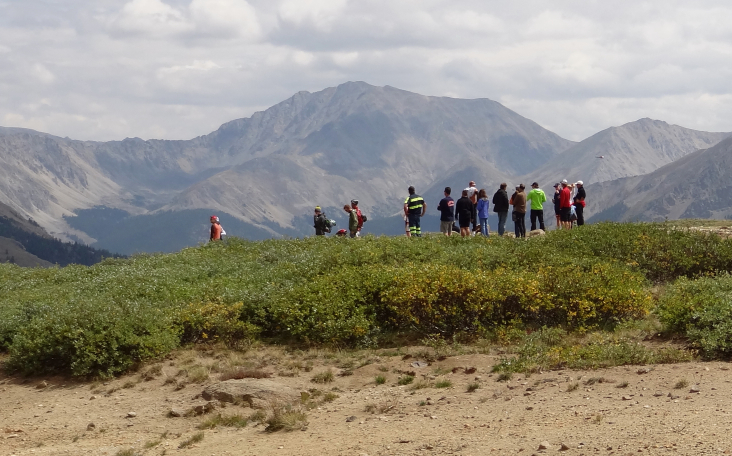 Let me tell you, this altitude stuff everyone is talking about is very real. 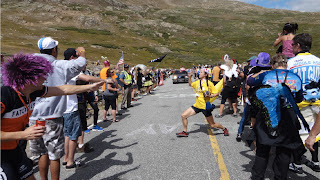 The usual excitement carried me up the pass for the first 10 miles, then my body said wow this is an effort and I knew to sit in and relax, it wouldn't be over for quite some time. 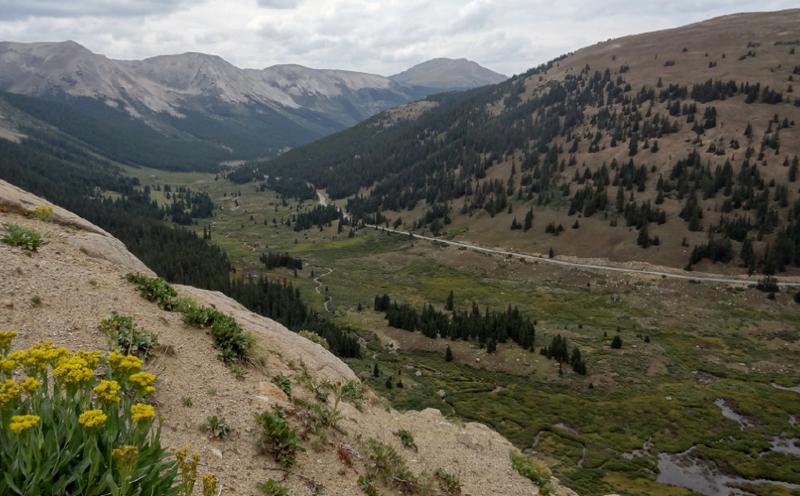 By the time I reached tree-line I could definitely feel the altitude, if trees couldn't grow up here, my muscles surely were feeling the effects of the high dry mountain pass. 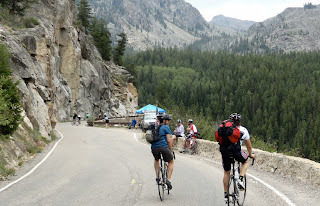 Yet I pedaled onward, visions (and memories from last year) of the fun at the top as my inspiration. I knew the climb would be worth it, and it was. 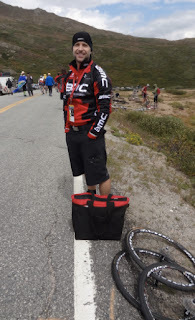 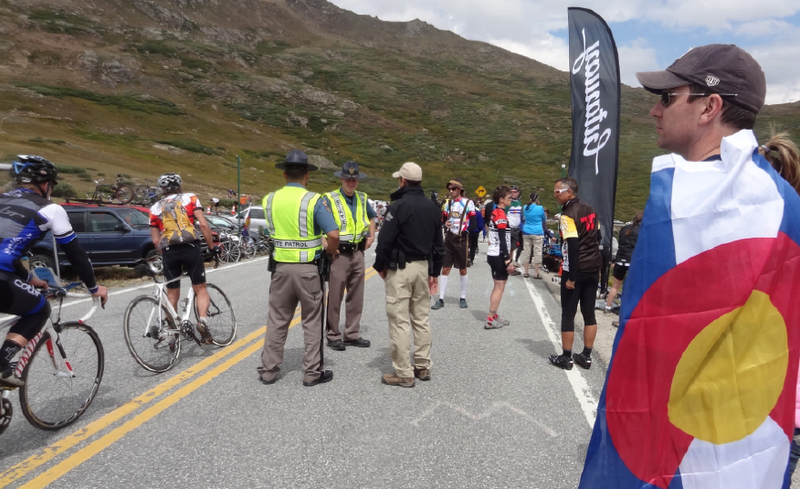 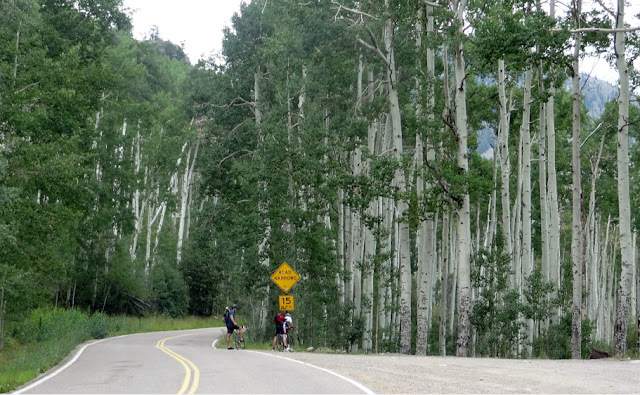 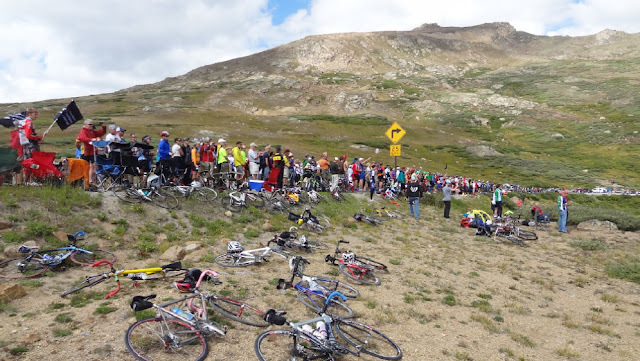 Fortunately the scenery of Independence pass was majestic and wide-sweeping and kept me occupied, together with my fellow cycling fans who were friendly and entertaining, I felt just fine. I rode with a fun group of guys from Carbondale who knew the climb well. 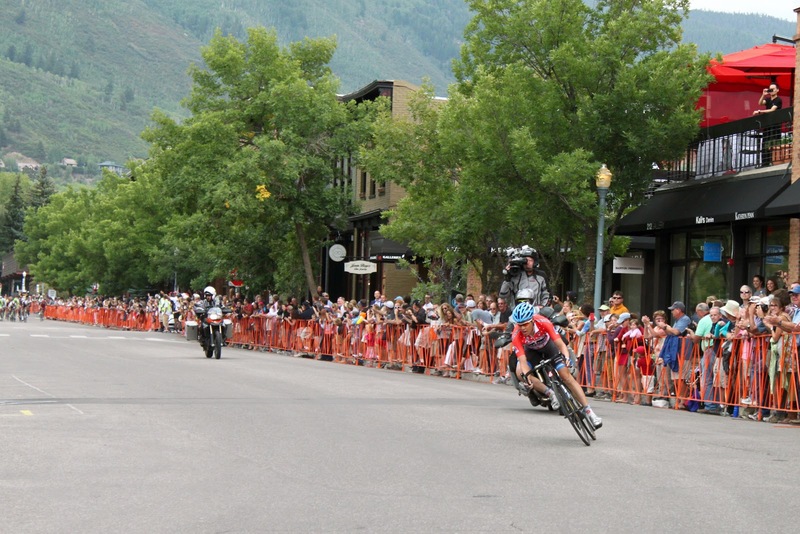 This is the view the riders see as they attempt to part the crowd of fans, would you have the nerve to race through this? 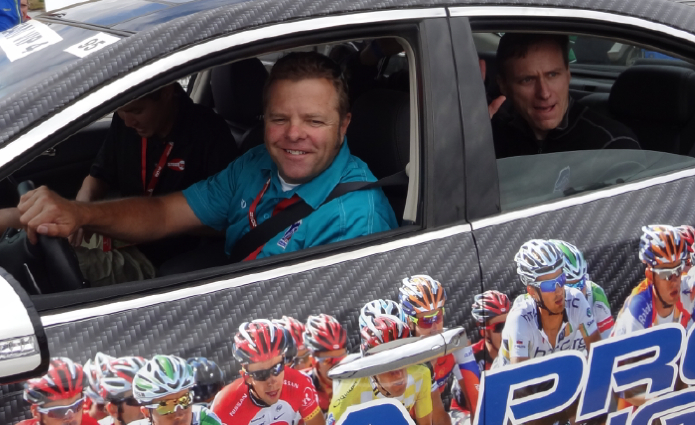 Who let Ron Kiefel drive the car? This is Larry a photo moto driver (who lost is photographer down the pass). 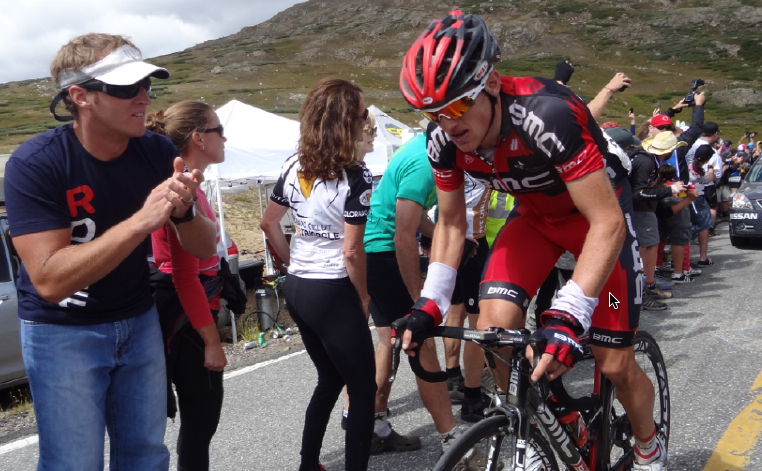 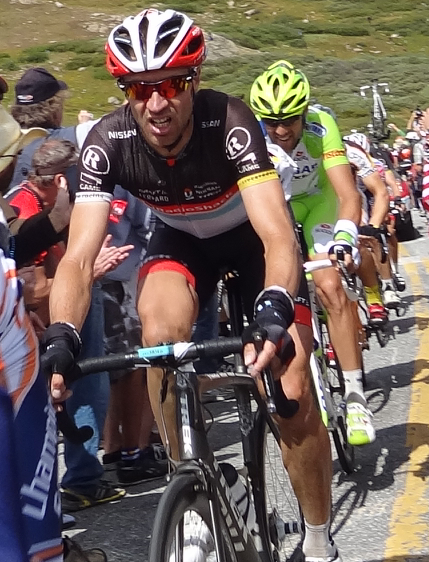 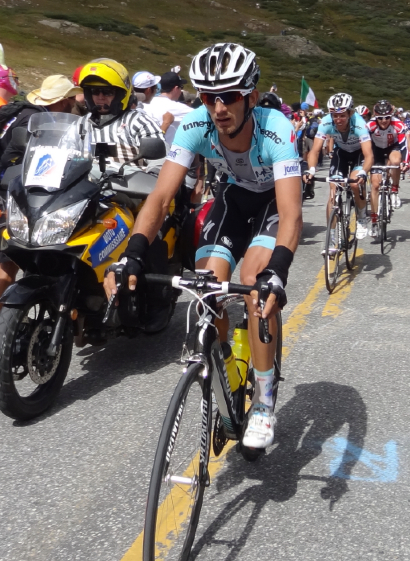 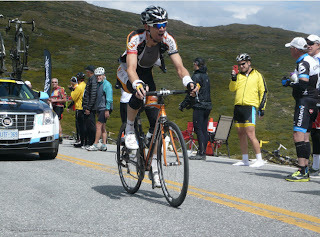 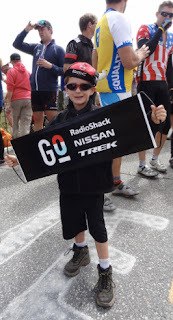 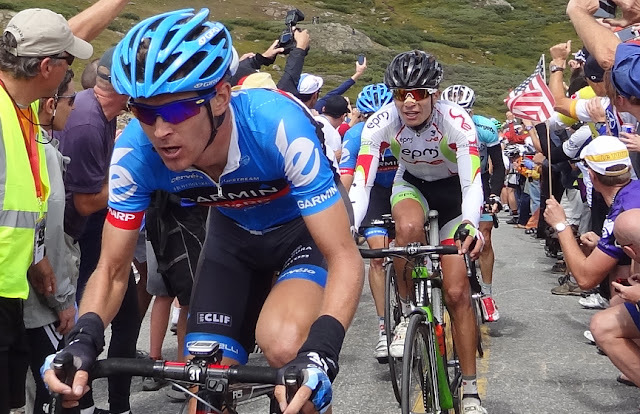 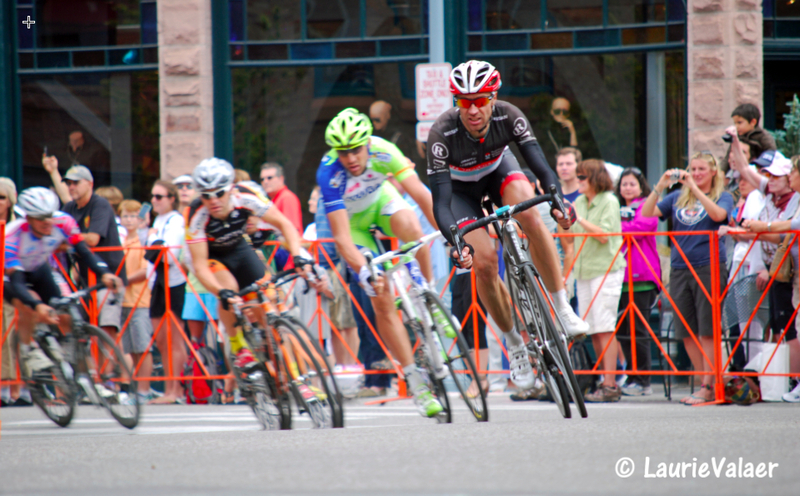 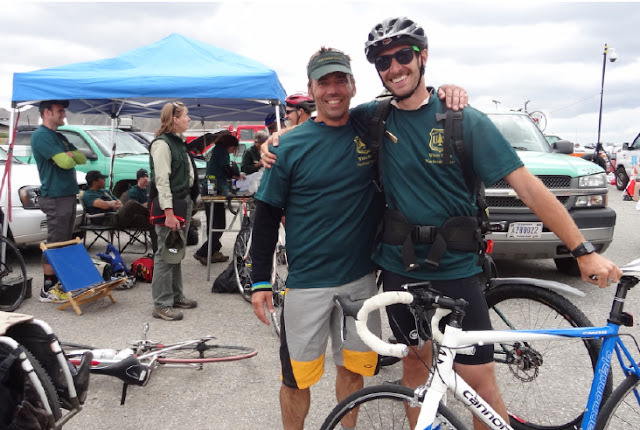 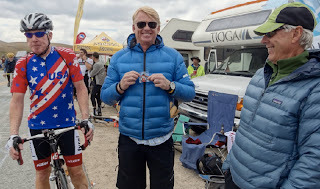 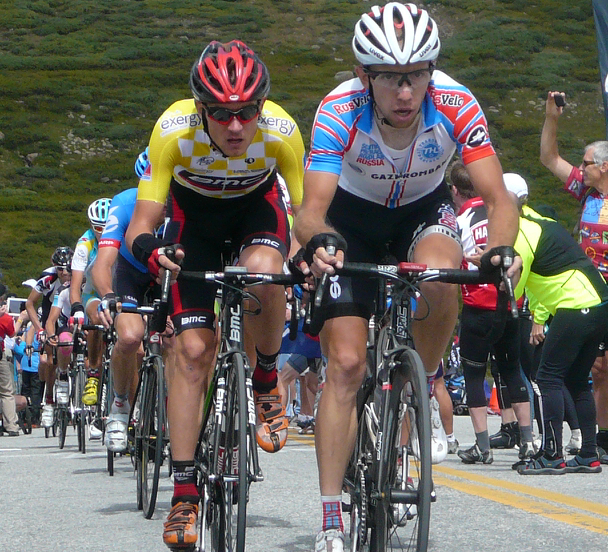 He rode his bike from North Carolina and works all the races - ATOC, Tour of Utah, and USPCC. 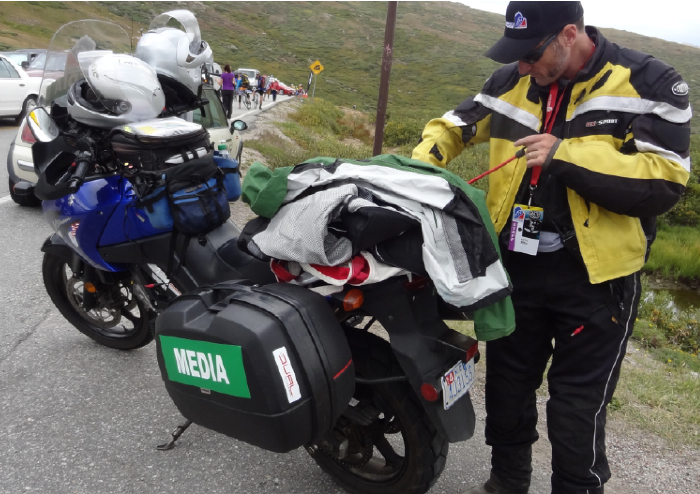 He is sometimes a Marhsall sometimes a photo moto, but he is certainly one of the many who make this race happen. 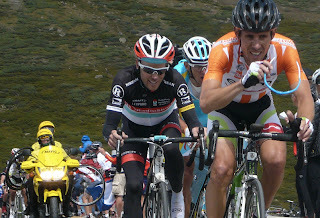 By this point in the race after a super hard effort David Zabriskie was really hurting, it was written all over his face - that this race is hard! 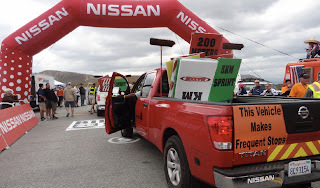 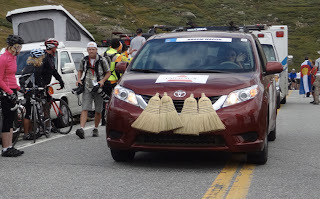 The two vehicles fans always recognize but don't like to see - The Broom Wagon (read more about the broom wagon: Word of the day at the TDF: voiture balai) and the sign-in pick-up truck. They mean the race is over for today. 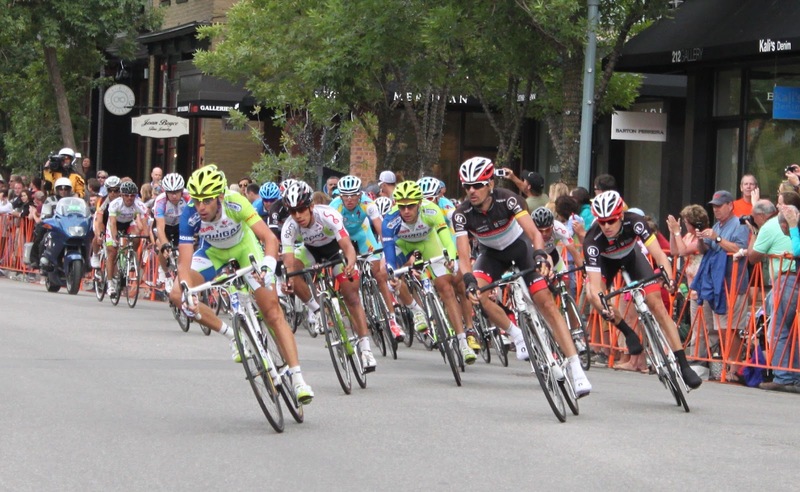 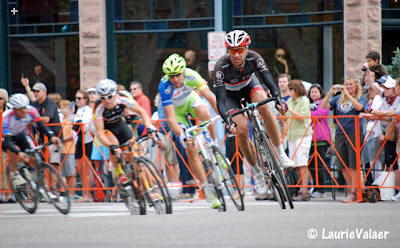 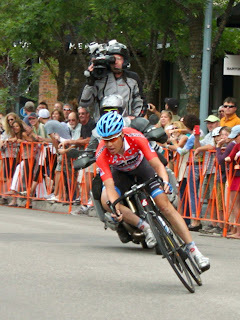 Meanwhile down in the town of Aspen Tom Danielson took the stage win and Jens Voigt rolled into town.